BRISBANE : The researchers under the University of Queensland, Australia are reported to be working on a technology which could potentially generate bioplastics from the discarded sugar plant leaves. The discarded sugar plant leaves caught the attention of researchers at the Australian Institute for Bioengineering and Nanotechnology (AIBN)- an integrated multi-disciplinary research institute which works under the University of Queensland. Researchers are in an attempt to bring out useful product out of the sugar cane trash. According to AIBN Systems and Synthetic Biology Group business manager Robert Speight, the researchers are developing ways to engineer bioplastic product from the sugar plant leaves which in normal case is thrown on fields.The research is aimed at efforts to take the fullest advantage from natural resources and thereby reducing waste generated by leaving them unused or burnt. Australia has more than 4,000 cane farms that produce up to 35 million tons of cane annually. The annual output of sugar is estimated to be around 4.5 million tons. 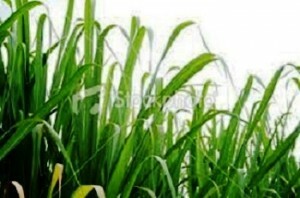 The sugar cane plant leaves presently doesn’t have any specific use. The research to develop plastic from waste leaves is guaranteed to bring about revolutionary changes to the recycling industry.